lose or gain weight, improve flexibility and mobility, get slim, fit and strong. 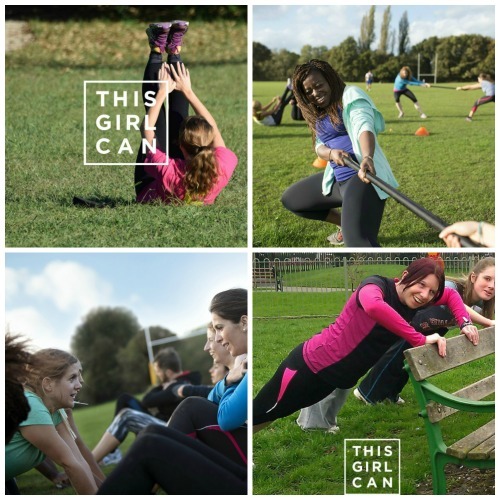 We offer a wide range of indoor, outdoor classes and bootcamps. Each class has a maximum of 14 people, some have only 10.
regressing and progressing each exercise where necessary. So each class is like a Group Personal Training (GPT) session. Classes incorporate body weight exercises, the use of Kettlebells and Boxercise equipment. We will teach you how to use all relevant equipment. after a long break or even as a complete beginner, we can cater for you and your needs. regular measurement sessions and weigh-ins using our body composition scales. This is optional. "DON'T LET FEAR OF JUDGEMENT PUT YOU OFF!" Information about the Kettlebell classes. What is a Kettlebell? It looks like a cannonball with a handle. You will learn how to use each Kettlebell safely and effectively. Information about the Boxercise classes. Boxercise is boxing modified for safety, fun and fitness with no sparring involved, purely hitting pads and wavemasters with gloves whilst exercising. Information about the Metafit HIIT classes. Metafit™ is the original 25/30 minute, non choreographed, bodyweight only HIIT workout. Information about the PureStretch classes. 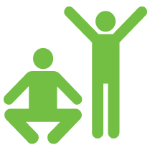 Stretch and Core classes involve stretch routines, core strengthening and relaxation techniques. Information about HIIT Pad classes. This is a combination Boxercise and KickBoxercise using gloves, pads and wavemasters all based in the HIIT format. Information about the 12 Week Drop a Clothes Size Challenge coming soon. Information about the Herbalife 21 Day Challenge coming soon. of working in a fitness class with other like minded people with similar goals. Group Personal Training (GPT) classes. Each class has a maximum of 10/14 people. This enables us to focus on everyone, correct form, identify any problems and adjust when necessary. All classes are suitable for complete beginners and serious athletes alike. We are able to adapt each exercise to suit your individual ability.